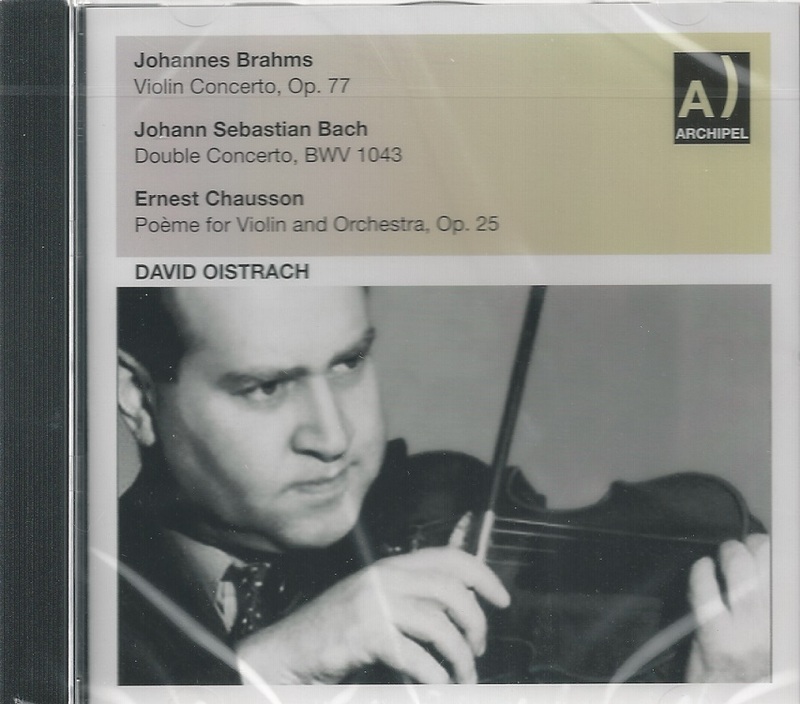 “David Oistrakh is considered the premiere violinist of the mid-twentieth century Soviet Union. 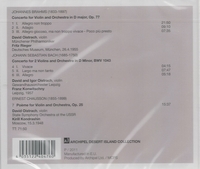 His recorded legacy includes nearly the entire standard violin repertory up to and including Prokofiev and Bartók. In 1937 the Soviet government sent him to Brussels to compete in the International Ysaÿe Competition, where he took home first prize. With his victory in Brussels, Soviet composers began to take notice of their young compatriot, enabling Oistrakh to work closely with Miaskovsky and Khachaturian on their concerti in 1939 and 1940, respectively. In addition, his close friendship with Shostakovich led the composer to write two concerti for the instrument (the first of which Oistrakh played at his, and its, triumphant American premiere in 1955). During the 1940s Oistrakh's active performing schedule took him across the Soviet Union but his international career had to wait until the 1950s, when the political climate had cooled enough for Soviet artists to be welcomed in the capitals of the West. “Igor Oistrakh is one of the more important violinists to emerge from the mid-20th century USSR, despite being largely overshadowed by his famous father, violinist David Oistrakh. Igor often partnered his father in duo repertory ranging from J.S. Bach and Mozart to Prokofiev and Ysaÿe. But the younger Oistrakh also struck out his own path as a soloist and recitalist in a broad range of repertory by J.S. 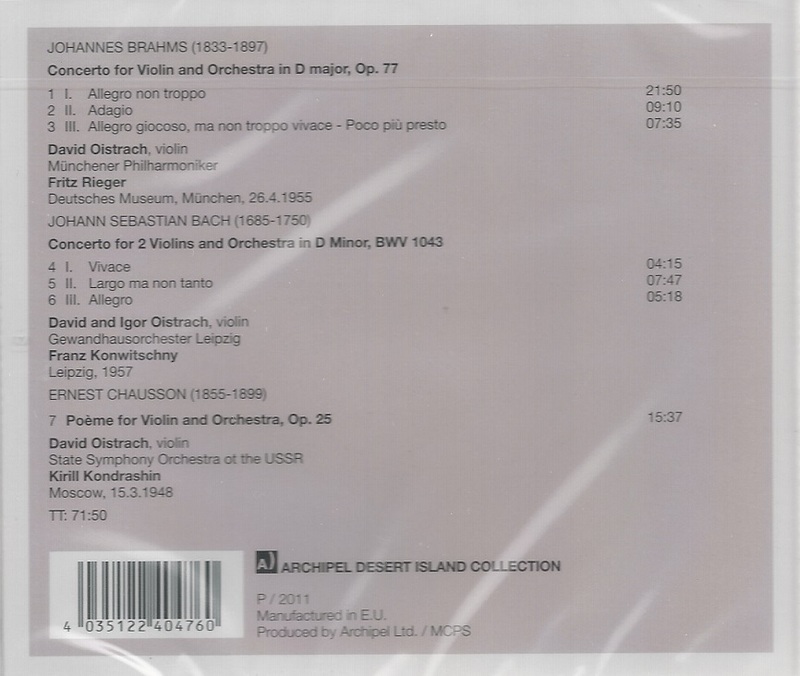 Bach, Mozart, Beethoven, Mendelssohn, Bruch, Khrennikov, and others. Like his father he also played the viola and conducted. In addition, Igor Oistrakh has been active as a teacher for most of his career.